A recent article about why we need to “kill Big Data” made a few waves on social networks. It piqued many people’s curiosity and its assertions bothered a lot of people. Most criticized it for failing to say something new or revolutionary. However, it did make one very interesting point – It’s no longer about Big Data, it’s about what you do with the data. It’s true.We’re receiving data from all directions. Every company worth its salt employs multiple channels through which it not only shares its marketing message, but also collects information about its customer base. The question, however, is – how much of this data is actually being used to develop the company’s marketing and customer relations strategies? With consumers being constantly connected and using their mobile devices to browse, compare and shop, there are plenty of opportunities for brands to know exactly what their customers are looking for, when they are looking for it and where. The key here is to know that not all customers are alike, and a customer outreach message that targets all of them in exactly the same way is likely to be ineffective. Brands need to put in some effort in customizing their messages and learning about their consumer base in greater detail. This is where data analysis plays a role. It could start right when your customer is in the retail store and sees your product on a shelf. 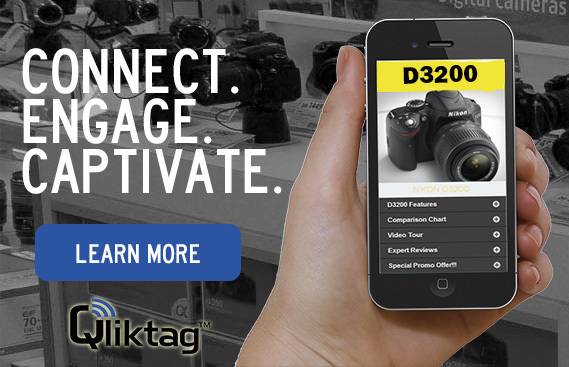 If, for instance, you were to put a QR code or NFC-enabled hang tag on your product and were to ask your customers to scan the code in order to register their product or get their product warranty, you would immediately get data about the kind of product that is being bought, when and where it is being bought. By analysing large amounts of such data, patterns will start to emerge and you will gain insights into each customer’s behaviour and preferences.So when Kevin, your denim-loving and sneaker-wearing customer walks into one of your stores, you could send him a targeted message that offers him a discount on his favorite kind of jeans or sneakers. Ultimately, no matter how much data you collect and how many social media channels you’re active on, your efforts won’t make much of difference until you invest in analysis of this data and figure out how to use these customer insights to everyone’s advantage.